Is This The End of Yahoo! Search Marketing? 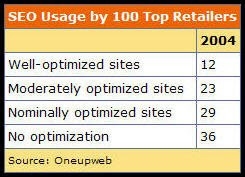 Reported today on SEO Roundtable, Yahoo! is no longer accepting applications for the Ambassador program. For those unfamiliar with the program, it is Yahoo!’s version of Google AdWords Professional. Where you take a n online exam, administered by Yahoo!, and upon completion, you receive credentials for a Yahoo! Ambassador badge that can be displayed on your website. Not only am I out the $50 now, I have to wonder whether this marks the end of the Yahoo! Search Marketing (YSM) altogether in the coming months? Why strip a distinguishing factor among YSM users, to distinguish professionals from non-professionals? Goo-Hoo Paid Ads would completely dominate the market; Microsoft would be nothing but a sad memory if Google and Yahoo merged PPC. That being said, I don’t think YSM, as a whole, will completely dissolve. You think you’ve seen anti-trust battles in the past, if this happens, folks, you ain’t seen nothin’ yet. Yahoo displaying Google ads essentially consents to a monopoly of Paid Search. As a Paid Search manager, this doesn’t displease me. Far from it. If there was only single location I could manage client’s PPC, it would be a small blessing. On the other hand, it makes me think that rules of the Yahoo! Search Marketing game would change. Would Yahoo! have to adopt the quality score aspect that Google places on it’s ads (not that we know them anyway), or would it continue under Yahoo! quality score guidelines? How much control will Google have over the display of “its” ads? They do not want to reward crummy companies that play SEO games–they want to give the top listings to the best companies. And they are quickly gaining access to the information they need to do exactly that. They will use traffic and buying stats to figure out who the top companies are. Yes, I know it’s from 2004. But search engine optimization, search marketing, and usability are still in the back seat of everyone’s mind. Not that much changes in 3 years a world really resistant to change. Instead, the way companies attempt to proliferate and augment their web presence is through Banner Ads. Doesn’t do you much good if your site is mess, does it? SEO is going to be around for a long time. I’m going to switch gears again here at The Milwaukee SEO, and talk about email marketing. In our last post, we talked about how to build a solid email marketing database. Great. Now you have one. What’s the next step? To send your emails out to the wanting public who offered up their emails to you and start creating conversions. Before you send you’re emails, look at these three areas to make sure you get the maximum opens and the maximum amount of consumers into the purchase funnel. “XYZ Company wants you to come to their 4th of July Sale for 50% Selected Items”. That’s a mouthful and an eyestrain. “Free Gift with Purchase of XYZ’s Products on the 4th of July”. Right. Instantly to the trash folder. You want your subject lines to as clear as possible, as short as possible to get your message across, and as concise as possible. And, whatever you do, avoid “spammy” language in the subject; words like, “Free”, “Win”, or “You’ve Won”. With stronger and smarter spam filters on inboxes, it’s hard enough to get a legitimate communication through; language like this pretty much guarantees that no one will see this email. This is really crucial for your communications. It’s the first thing a consumer sees; who it’s from. If it feels spammy or fraudulent to the user, it’s gone without a second thought. Too many consumers have been burned opening emails only to get viruses and other malicious goodies. 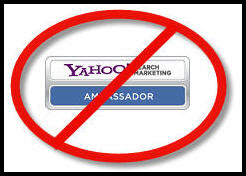 Don’t use your Yahoo!, Gmail, or Hotmail account to send out the communication. Invest in a company-branded address purchased through a reliable email provider. Please, whatever you do, don’t send your email from “Bobby@xyzcompany.com”. It’s just bad people, and it’s a certainty that I’m going to trash the email, even if I recognize the company name. “Bobby” gives off bad juju and it feels like I’m going to be sorry if I open this email. Content is the most important part of the email because it carries the message (and the links to have folks click-through to your site). You don’t want your email to take forever to load because you have 10mb worth of images, and yet it has to be appealing to the user, so that rules out the “all-text” email. You’ve got to know your audience and what spins their wheels. But, without hesitating I will tell you that an all image email is “all bad”. I see this occur quite a bit with retail stores. Yeah, people need to see your products, but you don’t have to layer design over design until it takes me five minutes just to see what you’re offering. Not to mention that it detracts the user from the thing you want them to see the most: your products. You’ve got to have copy in the email. All-copy isn’t “all bad” but it’s certainly not good; it does nothing to engage the consumer. Think of the Mac/PC ads. You don’t want to be PC, the ultra-business-orientated stick in the mud. You’ve got to have some visual hook too. The trick is to find the perfect balance based on what your consumers like best (A/B testing). Make sure you see what your email looks like when it’s rendered through different email providers, namely the big three (Yahoo, MSN, and Google). It might be perfect in Yahoo, but Gmail might break some of your tables or tweak the formatting. If your email looks sloppy, then your brand looks sloppy too.